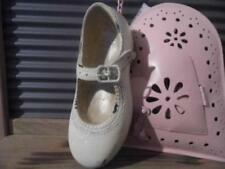 2 Ornamental Shoes from "Just The Right Shoe "Collectable shoes From the Past . Perfect condition. They have never been out the box. Grab a bargain. Dispatched with Royal Mail 1st Class. 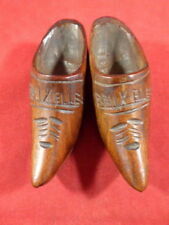 VINTAGE RARE Mini Dutch Wooden Clogs Pr Holland Netherlands Antique Windmill 3"
This is lovely item in great shape for age. If you like the item, but do not like the price. WILLOW HALL. AGE OF ELEGANCE. SHOE, HAT AND HAT STAND. "LITTLE GEM". IN EXCELLENT CONDITION, BUT THE SET IS NOT BOXED. 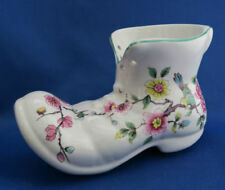 COMPTON & WOODHOUSE PRINCESS ROYALE BONE CHINA ORNAMENTAL SHOE . Condition is Used. Dispatched with Royal Mail 2nd Class. The Leonardo Collection - If The Shoe Fits. Pink shoe with diamantés. In good condition but with some fading on the tip of the shoe. All diamantés are original and in place. LP8859. With original box and packaging. Some marks to the box. Ornamental Ladies Miniature Decorative Shoes Collection . Condition is Used. But in good condition. Dispatched with Royal Mail 2nd Class. IF THE SHOE FITS. Anyone with a shoe fettish ?. Look no further ! This collection has many many different styles with matching handbags and hats but I have just the shoe for this one. Beautiful White shoe encrusted with pearls & iridescent glitter. WILLOW HALL. "LILAC LADY". AGE OF ELEGANCE. SHOE, HAT AND HAT STAND. IN EXCELLENT CONDITION, BUT THE SET IS NOT BOXED. The Leonardo Collection - If The Shoe Fits. Pink ballet shoes LP9161. Used but in excellent condition with original box and packaging. Wooden Clogs - Decorative Wooden Clogs. Condition is Used. Dispatched with Royal Mail 2nd Class. The Leonardo Collection - If The Shoe Fits. The Leonardo Collection - If The Shoe Fits. Purple strappy shoe with diamantés but one diamanté is missing. LP8862. In original box and packaging. Some marks on the box. The purple high heeled shoe has a small platform and a criss cross section on the front decorated with clear crystals. A miniature collectable shoe by Leonardo for the If The Shoe Fits Collection. IF THE SHOE FITS COLLECTION. This collection has many many different styles with matching handbags and hats but I have just the shoe for this one. Anyone with a shoe fettish ?. Look no further ! I think this particular collection is exquisite and if you are interested, you won’t be disappointed. 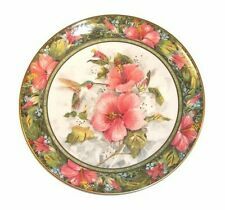 Disappointed this is being listed because I love this cup and saucer but I have been unable to clean the inside of the teacup. I’ve not tried anything other than basic washing up liquid as I’ve been terrified of trying anything else in case I destroy it in any way. HIGHLY COLLECTABLE. GETTING HARD TO FIND. The Leonardo Collection If the Shoe Fits Shoes, Hats And Stands. 6 x just the right shoe by Raine good condition struttin' /rose court/the empress /majestic/leopard stiletto/purple dream . Condition is Used. Dispatched with Royal Mail 2nd Class. "The Shoemakers Dream, Castle Boot" by Jon Herbert 1990 - Good Condition. Condition is Used. Dispatched with Royal Mail 2nd Class. Blue Pottery Flip Flop/Minorcan Sandal. (Original from Menorca) Wall Ornament. Blue Pottery Flip Flop - Minorcan Sandal. (Original from Menorca). Wall Ornament. In good used condition. Dispatched with Royal Mail 2nd Class. From smoke free home. A miniature collectable shoe by Leonardo for the If The Shoe Fits Collection. The chunky glam rock silver platform shoe has a gold and silver striped heel and is decorated with clear gems around the gold and silver platform. If The Shoe Fits from The Leonardo Collection. A pink high heeled shoe with blue swirl decoration and a blue heel. Boxed and in Very Good Condition. With certificate. Just the Right Shoe ,a ollectors range of exquisite shoes from the past beautifully made with so much detail my own collection but have to go as I am down sizing, shoes vary in size but 4" in length is approx ,come in original box & packing the shoes are in new condition the boxes have a few nibbles but still presentable.I am selling 2 for this price . By CARL SCHELDIG, GRÄFENTHAL, GERMANY, ESTABLISHED 1906. One single ceramic shoe pink with grey ribbon ties. DUTCH CLOG - SLIPPER. SIZE NUMBER IN CLOG READS: 22 (MAYBE A UK SIZE 2). WOODEN - WOOD. COLOUR: YELLOW, RED & BLACK. PATTERN: FRONT DETAIL. I Will Do What I Can To Make Sure That You Are 100% Satisfied. 2 Lovely Porcelain Gold Lustre Miniature Shoes. Would make an interesting talking point, a lovely addition to a shoe collection or a great prop/window display. Green- Length- 9.3cm Height- 6.8cm Width- 3.6cm. Gorgeous miniature shoe in excellent condition. Made from Resin. Leaflet not included. No missing crystals or faux pearls. No scuffs or marks on sole. Delightful piece. Pair of Dutch wooden clogs. 24.? Pair of Dutch wooden clogs. 24.?. Condition is Used. 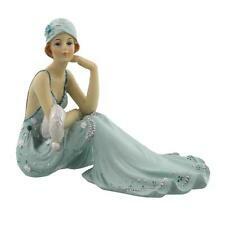 Ideal for collector .Dispatched with Royal Mail 2nd Class. They are painted red inside and have carving around the top of the heal. They were originally bought in the early 1950's and are in good condition for their age. 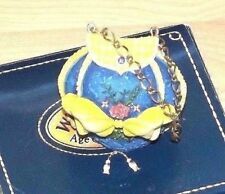 A Coalport bone china miniature shoe, cream in colour with gilt detail. Length approx. - 3 1/2", 9 cm.